Mercury-nominated Northampton composer/producer Maps is set to release his fourth album ‘Colours. Reflect. Time. 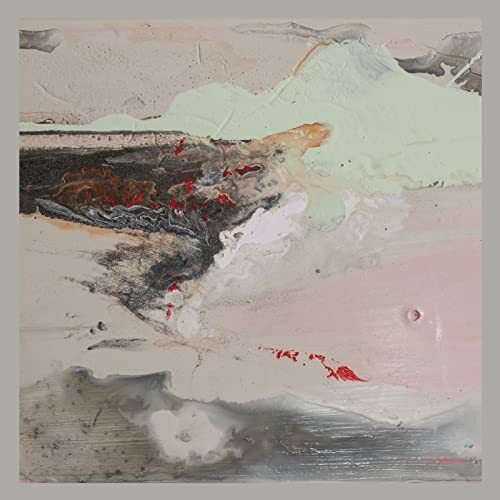 Loss.’ on the 10th May 2019 through Mute, and today shares a new track from the album called ‘Just Reflecting’. On Friday, February 1, Bandcamp will open a record shop and performance space in the great city of Oakland, California. We’ll feature a selection of records that showcase the diversity and design of the more than five million albums available on Bandcamp, and we’ll soon host free, all-ages shows as part of an upcoming video series. Christchurch, New Zealand’s Salad Boys are back with “This Is Glue”, the follow up to their critically acclaimed 2015 debut album “Metalmania”. Recorded once again by bandleader/guitarist Joe Sampson at his home studio, This Is Glue’s twelve songs dig deeper, with sharper hooks embedded deep within a more mature musicality. This Is Glue, released by Trouble In Mind Records, hones Sampson’s songwriting chops to a razor edge, with many of the album’s songs sounding utterly timeless. The riffs and melodies seem all too familiar, perhaps recalling greats that came before them (The Chills, R.E.M., The Bats), but Sampson has a voice all his own (though sonically it reminds me of Eels’ Mark Oliver Everett) and This Is Glue’s tunes tread upon a singular path of measured melancholy. The themes are darker, the lyrics more claustrophobic and yearning with Sampson confronting anxiety, mortality, and fear through the his abstract lyrical lens; a cracked world view, to be sure. Songs like “Exaltation”, “Dogged Out” and “Divided” convey a world-weariness of a man twice his age. That’s not to say that This Is Glue is all doom and gloom; album opener “Blown Up” kickstarts with motorik drumming that crescendos into a thrilling guitar riff that could crack mountains. “Psych Slasher” crashes forward frenetically awash in phaser before easing into a melodic denouement buoyed by a bubbling synthesizer before a tidal wave of guitar crashes down again. Existential angst has never felt so exhilarating. You can buy the new album via Bandcamp here. 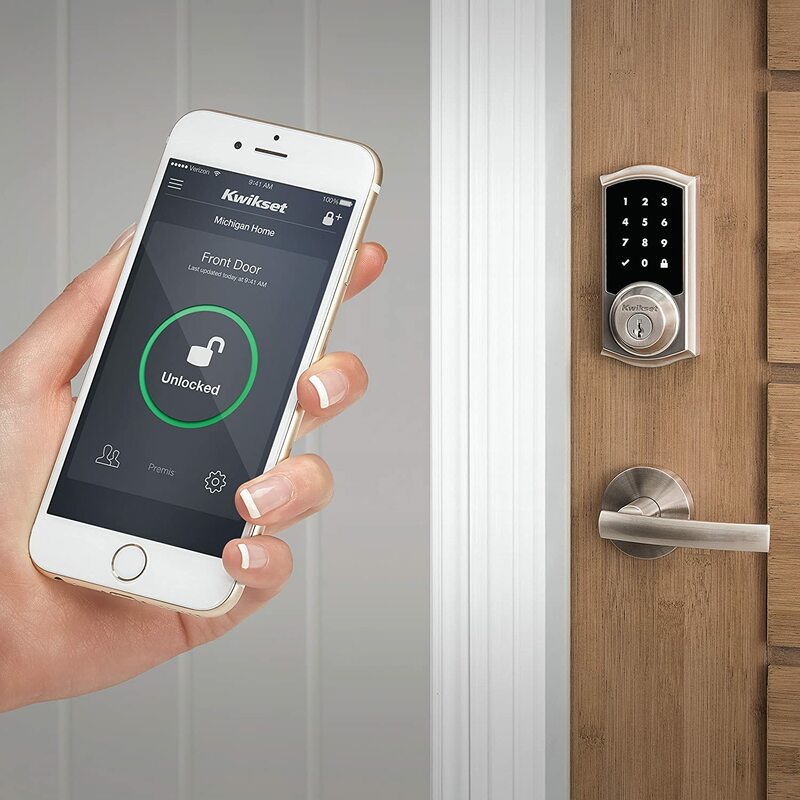 Control your Kwikset Premis lock from your Apple device either at home or on the road. Did you remember to lock the door? Who is coming and going from your house? What if I need to let someone in while I’m not there? When did the kids get home? You’ve managed important aspects of life from your smartphone for years. Why not have the same control over your home? Premis is designed to help you look after your home and family—even when you’re away. The App has a very useful interactive installation feature to guide you through installing the lock. Can only be used one time within the next 24-hours. Ideal for giving access to contractors who require a single instance of entering your home. Can be used anytime or recurringly within a set dates and times. For housekeepers and others that consistently come on certain days and times. Can be used every day at any time. Perfect for family members and others who come and go frequently. Can be used anytime within the date range set. Ideal for house vacationers who are meant to only stay from one date to another. The lock will display 2 random numbers that you have to press first, before entering a valid code, that makes it impossible for someone to successfully read fingerprints off the keypad to try to determine your code. This is rather nifty and doesn’t add much hassle to using the keypad. If a long passcode option is your preference but you don’t want to have to press 9 or 10 buttons then maybe consider using a 5-digit passcode. This combined with the 2 random numbers you have to press first adds up to 7 digits. Also, Kwikset warranties the keypad for life in case you’re concerned about frequent use wearing down the keypad. What devices are compatible with Premis? Versions of iPhone, iPod, iPad, and iOS Premis lock can be enrolled with compatible HomeKit enable devices running iOS 8.1 or newer. These include the iPhone 4S, all iPhone 5, 6 and 7 variants, iPad 2 or newer, all versions of iPad Mini, and the iPod Touch 5th generation or newer. Compatible versions of Apple TV Premis is compatible with 4th generation or newer. Can I unlock Premis remotely? The lock can be locked or unlocked remotely using the Premis app or Siri, if the lock is connected to an Apple Home Hub. Home Hubs come standard on Apple TVs (4th generation and newer) and Apple iPads (with iOS 10 or newer). The Home Hub must remain in your home, connected to your home Wi-Fi network, and powered on. Kwikset has a newer version of the lock that resists forced turning. Keep in mind that no lock is completely pick-proof. The idea is to make it as time-consuming as possible so that a would-be thief moves on. If they want in badly enough then there are likely easier ways. (Windows, etc) Here is the video where they challenge professional locksmiths to pick the lock using various picking methods. The SmartKey technology where you can ‘rekey’ the lock to work with your existing key requires that your current key shape will fit into the Kwikset lock. I had a different brand lock so my current key wouldn’t fit. I had to use the 2 keys that came with Kwikset Premis lock. It’s not really a big deal but I like to have a few extras, even with this new keypad feature. I ended up making a couple spare keys. I read other reviews where people complained about the touchpad response time. I haven’t seen issues regarding this at all. It’s very responsive from my experience. Installation was relatively easy though I had a few hurdles. My door frame strike, the receiving end of the deadbolt, was 1/2″ deep when it requires a 1″ depth. There was a metal frame in my door frame that I had to punch through. The Premis lock kept thinking that it was ‘jammed’ otherwise. It would still work but the locked/unlocked indicator in the App would show it as “jammed”. The outside portion of the door lock unit, the keypad part, wouldn’t slide into the door. The metal bar that turns the lock was about 1/8 of an inch off center. I had to unscrew the faceplace, the rectangular part that screws into the side of the door, 1/8″ inch to push the latch out a tad. It’s still solidly installed and you can’t really tell. The handing process worked but was a little confusing. When you install the batteries the first time the lock will go through a series of tests where it extends and retracts the bolt. The bolt would only retract in part way so I thought it was failing due to the previously mentioned issue (number 2) maybe due to too much friction on the turning mechanism. I took the lock apart, loosened the faceplate screws another turn, and redid the wired that you have to tuck into the inside portion of the lock taking more care that it wasn’t pressing too hard against the turning mechanism. I think it still exhibited the same issue retracting during handing but it retracts all the way, every time, when using a key, the keypad, or the app so it’s working and that’s all that matters. There are 3 small screws that have to be removed in order to remove the batteries. This is just not well thought out. However, if battery life lasts as long as it should then it’s not really a big deal. Two screws are on the sides and one screw is underneath the unit. My door handle is below the unit so it’s not the easiest screw to access. I ended up just leaving the bottom screw out. So far I’m quite pleased with the Premis and would recommend it to others. I bought it for the convenience of letting others in if required, and as a backup, in case I somehow lose my key so I’ll have a way in. I think in most cases installation is easy and it works as designed. I live alone so some of these may not apply to you but most should be helpful. As with anything, follow your doctor’s orders. It’s been four months since I had my right shoulder repaired due to a SLAP tear from years of volleyball and overhand sports. I read a lot of information online and watched a bunch of videos! Some were helpful but many rambled on and repeated the same information. These are some things I discovered that I didn’t see mentioned anywhere else or at least rarely saw mentioned. Hopefully, you’ll find something helpful. Get your sling adjusted and then you can just slide it over your head versus refastening all the straps every time you want to take it off. You really only need to undo the waist strap and lift it over your head. Often times I left the waist strap undone anyway and just used the shoulder strap. That way I didn’t have to do anything to take it off and it took no time. I tucked the waist strap into the area between the pad and the arm cup so it’s out of the way. At night I recommend fastening the waist strap to prevent you from any unintentional movements while you’re sleeping. Your sling serves to not only support your arm but to prevent you from doing stupid things accidentally. After a few days, you’ll gain confidence and leave it off when walking to the kitchen or bathroom. You’ll stumble over something and instinctually move your repaired arm and yell a string of curse words. Be incredibly deliberate with your steps or just don’t risk re-injuring yourself by moving around without your sling on. I was in the kitchen making something simple to microwave when I dropped a fork with my good hand. It bounced off the counter and I instinctually grabbed it out of the air with the hand on my repaired arm. Fortunately, it wasn’t a big movement but it woke me up to what could happen. Bed wedge (http://amzn.to/2hiYDgB) – The first few nights I mostly slept using the wedge but worked myself off of it as I grew more comfortable with my arm in a sling. Plus it comes in handy when you’re awake during the day, want to stay in bed and don’t want to lie completely horizontal. Phone/tablet extender attached to your bed or night table with long charge cable. You’ll spend a lot of time in bed and you’ll get sick of trying to hold it or get it to stand upright. This is a hands-free option that allows you to lay anyway you want. I put this on the side of my bed so I could easily turn the light off/on or dim it without having to get up. Super handy! Washing Tips: Lean forward slightly in order to wash your repaired arm and use gravity in your favor. Put your foot up on the side of the tub while standing and just let your arm hang or rest it against your thigh on the same side of your body. This way you can wash the repaired arm without having to use much muscle strength. Your leg will support your arm. This goes for anything really but if you need to do something that is a bit challenging (shaving, shaving head) then do the hard side first because your good arm will get tired. It’s easier to do the easier side second. Because I worked from home for a couple weeks I lived in gym shorts and tees, very easy to put on! With your repaired arm held at your side, in the same position as if the sling were on, it’s easy to slide the first sleeve and t-shirt on over that arm and up over your head. Then put your good arm through the other sleeve second. It’s possible to tie shoes w one hand but it’s hard (look it up on youtube). I gave it a shot but gave up because it wasn’t something I had to do. It depends on kind of work you do, obviously, but if you work a desk job then a laptop is much easier to work on because your hands and arms move very little. After four acclaimed albums with Doves (two No. 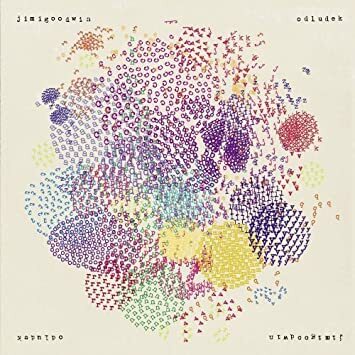 1s, two Platinum, two Gold, two Mercury nominations), Jimi Goodwin is releasing his first solo album on Heavenly Recordings. After their last release in 2010, Doves all agreed they needed a break. “We never said we’d split,” clarifies Jimi, “but we all needed some time to go off and do our own thing for a while. I’d never rule out us coming back together again either. Never say never. But this is what I’m concentrating on at the moment… and I’m loving it”. A wonderful, deeply personal album that is impossible to pigeonhole and will surprise a few people, Odludek is the first record great record of 2014. It boasts brilliant, panoramic, visceral, soul-searching tracks that are true siblings to Doves’ oeuvre, especially lead single ‘Oh! Whisky’; a few magnificent curveballs like ‘Man vs Dingo’, which sounds like Tom Waits and Black Grape-era Shaun Ryder trapped in a lift with Talking Heads, Gorillaz and The Roots; and a few that segue between the two. 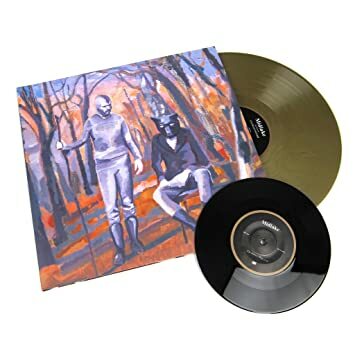 Recorded over 18 months in a friend’s studio in The Forest of Dean, co-produced by Dan Austin (who co-produced Kingdom of Rust) with guest slots from Guy Garvey, Fredrik Bjorling (ex-Dungen), Jake Evans, Joe Roberts, and a brass section, Odulek, like the best Doves albums, is a complex record which reveals another layer on each listen. The opening blast of ‘Terracotta Warrior’ is a statement of intent that this may not be the album you expected. The sublime ‘Didsbury Girl’ Jimi has had since 2004, “It just kept knocking at my door, and wouldn’t leave me alone”. ‘Live Like A River’ is “Queens of the Stone Age meets rave, it could have been the single for me, as it sums up the record”. ‘Man vs Dingo’ is a stream of consciousness rant which is new territory for Jimi, “I wanted to do a shouty Johnny Clarke meets Shaun Ryder rant, as I’ve never done one. The closest thing I ever did in Doves was the disorientated middle bit in Black and White Town”. Lead single ‘Oh! Whisky’ is reminiscent of ‘There Goes The Fear’ in Jimi’s imitable skill of underpinning a euphoric, anthemic track with wistful, melancholia, this time wrestling the demons of drink. ‘Lonely At The Drop’ is another melancholic anthem that could be the older, weather-beaten brother of ‘Caught By The River’. This is a rough translation of the DarkVoice headphone pre-amp Chinese ‘manual’. The instructions don’t really give you much information worth worrying about anyway. This mostly may help you with some of the specs. I even had a friend, who was born in China and speaks fluent Mandarin, read over the document that comes with the Darkvoice and compare it with the translated version and it still came across as odd sounding as what you’ll read below. I am not responsible for any damage you do to yourself or to anything else. You can buy headphone pre-amplifiers here. You can find tubes for “tube rolling” on eBay here. Read this document before using this device and retained for future reference. The designer’s design of audio equipment is like a cook cooking. In fact, I think the cleverness of the Sichuan chef lies in using the most common ingredients to make one of China’s most famous dishes. This view is exactly the same as that of the Japanese audio master, Nasu. Good men think that the audio design is not a pile of luxury parts, but should be from the circuit itself, starting from the characteristics of the components, using ordinary components to make a good sound. So many of my friends did not see the use of unpopular. In fact, in our opinion, the components, as long as it is in line with the IEC standard, that is, qualified components, you can make good things. Complement and not complement. Is dialectical and should not be the only ideal “In other words, people who are fit and healthy are not going to make up, but what we mean is not that we can use some components casually, but we must understand the characteristics of each component and the way we use it. This is what the chef cooks. Take the output capacitance of the 336 model for example, we have tried dozens of species, and their mutual match, and finally selected the best effect is the appearance of crude, we have not estimated of the products of a notorious factory whose sound quality is better than WIMA capacitors does not mean that WIMA is not good. Not that WIMA is not good, just use the effect here is less than that capacitance. This example has been passed in many aspects of our circuit experiments and noise abatement. Simply put, we just do the circuit experiment on the use of nearly a year and a half, once again confirmed that the sound design is a scientific twinning instead of metaphysics and science is something not to the slightest false. From our circuit structure, it should be said is very simple. However, the simple circuit does not mean easy success. The circuit structure we use is completely based on the characteristics of the tube after a large number of experiments due to the use of direct coupling circuit, the operating point. The adjustment in the experimental phase is a very daunting task. Because the whole straight for the work of the coupling circuit is a lead move the whole body, and each parameter changes must be from start to finish to adjust all the time. After adjustment, there are all the parameters are readily available, you do not think it is remarkable, but we think in the process of adjustment “KNOW HOW”, is the most valuable, we Chinese people the most disrespectful is This “KNOW HOW”, but willing to emphasize what I use tonic elements, emphasizing these things for the promotion of the value of the product, not to pay attention to manufacturers for product development, technology grasp ability, so our direction is to the spirit of science, rich practical experience, a large number of experimental serious and responsible attitude, go down to develop enthusiasts satisfied with the product. Production process to ensure that the DarkVoice quality products Pure quality voice tube earphone amplifier internal main circuit connection with 1mm silver-plated or gold-plated copper wire manual scaffolding welding and each DarkVoice product quality sound and calibration by Chengdu Jinniu Square audio and video studio founder Mr. Zhang Qiang personally completed. Each DarkVoice product has a serial number and comes with a year warranty and lifetime maintenance and consulting services. DarkVoice service products to comply with all the provisions of national product after-sales service. Warranty period of one year (in order to protect the legitimate rights and interests of users, please protect the machine seals and the number of users). Matters needing user attention the first time using the machine. Do not plug the headset in until you check the power and check the tube, without exception. the previous Vice cheap headphones audition, confirm the normal back of the machine can be inserted into the normal high-end headphones listening. DarkVoice series products cannot be used in humid environments. Machine without any user can repair part of the female case of failure, please contact the dealer or the Studio, DarkVoice products when using an open design for the tube will have a high temperature, beware of scalding. This model using 1 level double-transistor 6N8P for the left and right channel to increase low resistance double transistor 6N5P for the cathode output. Left and right channel share a supply.